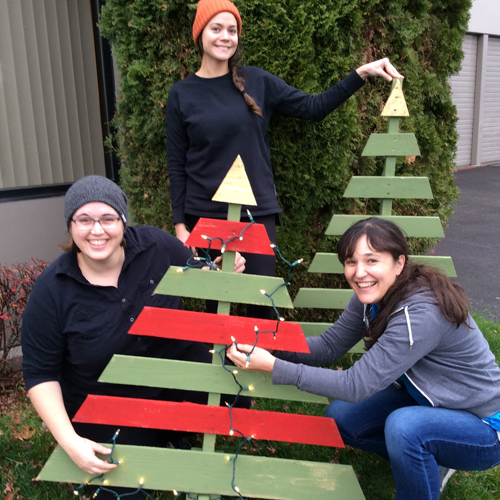 It's easy to create these awesome colorful DIY Christmas trees using a standard wood pallet. It doesn't take long at all. Our own Scott Pitts cut this one out in a matter of minutes. In one version Scott took the scrap wood to build the stand for the tree; in another he made stakes for inserting in the ground. To finish them off we reached for the chalk paint again (no fumes, great hues, no primer, easy cleanup). If inspired, you could stencil on some burnished gold ornaments. We just went for the twinkly lights. Always a good choice!